If you live in Australia, Japan or South Korea, it’s now possible to pre-order the Samsung Gear Live from the Google Play store. The smartwatch costs $250 (Australian dollars), ¥22,000 (yen) and ₩224,000 (won) respectively and is expected to leave Google’s warehouse on July 7. The Samsung Gear Live was announced at Google’s I/O conference last week and is one of the first smartwatches to run Android Wear. LG is launching its G Watch at the same time, ahead of the highly-anticipated, circular Moto 360 later this year. Unlike Google’s mobile OS for smartphones and tablets, the software experience will be the same across all Android Wear devices. Instead, you’ll be making a decision based on the hardware alone – as such, it’ll be interesting to see which smartwatches prove most popular. 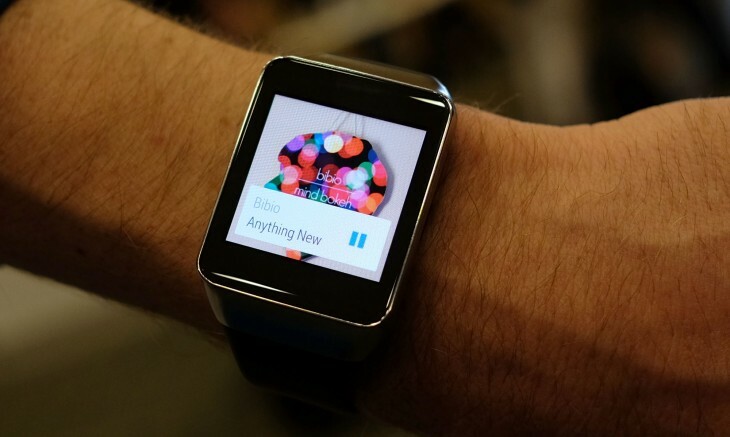 Android Wear, for those who need a quick primer, is based around glanceable notifications and voice-enabled commands. All push notifications will be mirrored on the watchface automatically, although a full SDK is now available for developers to create deeper, fully featured smartwatch apps.